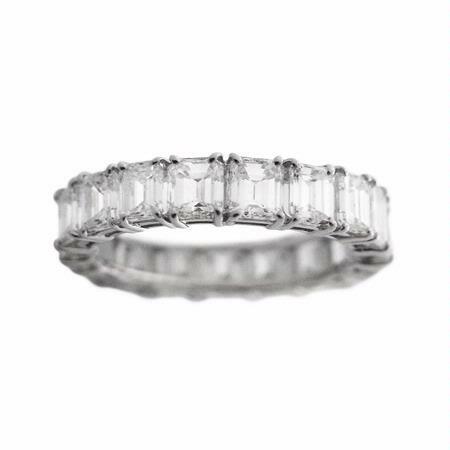 Diamond Details: 21 emerald cut white diamonds, common prong set of F color, VS2 clarity and excellent cut and brilliance, weighing 6.84 carats total. Measurements: Size 6.75 and 5mm at the widest point. Some alternate sizes may be ordered, requiring approximately 4-6 weeks for delivery. Larger sizes may incur an additional cost. 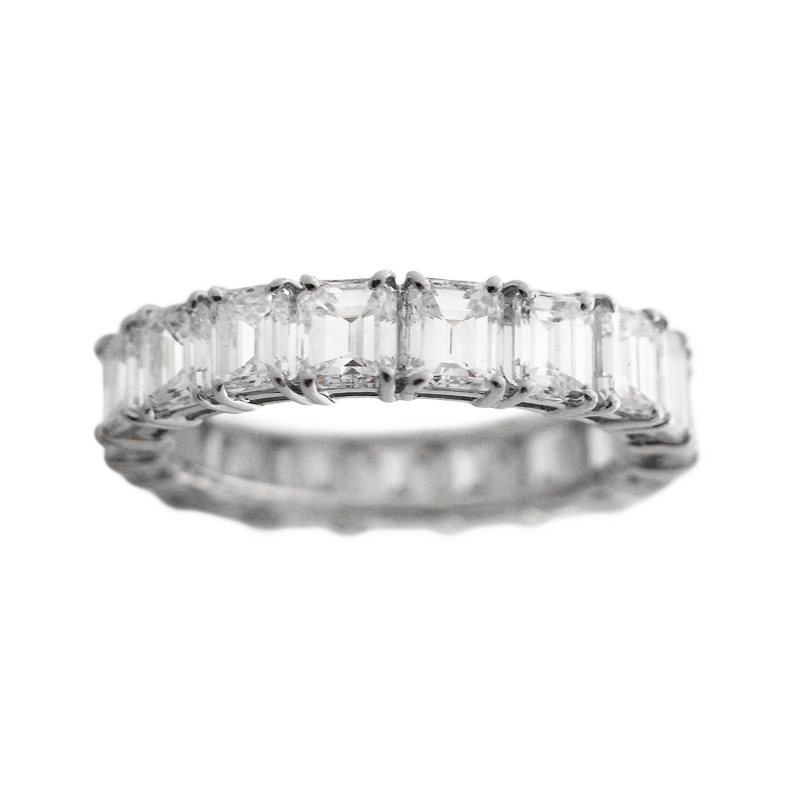 This captivating platinum wedding band ring, features 21 emerald cut white diamonds, common prong set of F color, VS2 clarity and excellent cut and brilliance, weighing 6.84 carats total. World class craftsmanship coupled with exquisite diamonds result in unparalleled synergy. This ring is size 6.75 and 5mm at the widest point. Some alternate sizes may be ordered, requiring approximately 4-6 weeks for delivery. Larger sizes may incur an additional cost.